Read this blog to know about the best sectoral funds to invest in now and earn high returns. “In the end, we only regret the chances we didn’t take,” a popular quote that you might have read numerous times scanning through your Facebook or other social media handles. What it has to do with mutual funds? Well, nothing in person but let’s use it to understand the importance of opportunity for now. Sector funds are the opportunity in the field of mutual funds. They are the ones which essentially invest its assets in stocks of companies that operate in a particular sector. Due to the limit in the sector allocation, the risk quotient of such schemes is high as compared to other categories of mutual funds; however, the returns can be humongous as well. Let’s find out which are the sectors that experts believe will flourish in the year 2019 and the sectoral mutual funds to invest in now! Which Sectors Can Perform Well and Why? Considering the time now, banking and infrastructure segment hold good investment prospects. The banking stocks can be regarded as highly beneficial if the investment is made for a long term. A major group of mutual funds have banking and financial stocks in higher proportion, and the schemes have even increased its allocation in the segment as these stocks have the ability to generate exceptional returns on a regular basis. It should be remembered that if the investor has a low-risk appetite or cannot keep track of the market trends, banking sectoral mutual fund is not a healthy option. Coming to the second sector, Infrastructure can indeed be called as the key driver of the Indian economy. With the overall Indian development and intense focus of the Government on initiating policies ensure world-class infrastructure in the country. Indian Government is taking all possible steps to boost the infrastructure segment, thus investing highly in maintaining highways, renewable energy, and urban transports. 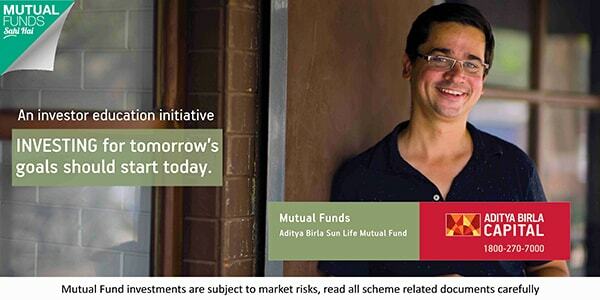 This scheme from Aditya Birla Sun Life Mutual Fund primarily invests in equity and related instruments of the companies related to banking and financial services. It has diversified its assets across 24 stocks and all of which are big players of the segment. The Aditya Birla Sun Life Banking & Financial Services Fund has delivered good returns in the long run which are 20.23% and 22.10% in three and five years respectively. SBI Banking & Financial Services Fund is a late but impressive scheme in the category of banking - sectoral mutual fund. It was introduced by SBI Mutual Fund in February 2015 to fulfill the demand of a mutual fund which invests entirely in the companies which belong to the banking & financial sector. Within a short span, investors have enjoyed spectacular returns from the fund. It has provided some of the best gains while offering minimal risk among the other schemes of the category. The scheme is quite selective when it comes to holding stocks as it has invested in just 14 big companies as of now. Talking about its performance, it has delivered 23.89 percent returns in only a period of 3 years. ICICI Pru Banking and Financial Services Fund faced a continuous fall in the past year; however, it has a good record in the longer tenures. It follows a bit more diversified style of investment and currently has investments in 31 stocks. It is bound to provide exceptional results as the portfolio consists of all big players from the banking and financial segment. A large share of its assets will be invested in the stocks comprising the benchmark, BSE Bankex Index. In the past three and five years, it has delivered 23.85% and 23.68% returns, respectively outperforming both its category and benchmark average with a good margin. Franklin Build India Fund aims to generate capital by investing the assets of the scheme in companies which are directly or indirectly engaged in infrastructure related activities. The fund is specifically focused on the infrastructure theme. With the allocation of Rs 5.97 trillion in the Union Budget of 2018, the companies of this particular theme are set to achieve laurels in the near future. It has diversified its stocks in 35 stocks all of which are big players of the industry. It has shown exceptional growth in the long term where it has delivered 22.61% and 20.14% trailing returns in 5 and seven years, respectively as on January 24, 2019. L&T Infrastructure Fund is an infrastructure thematic equity fund. It means the fund manager invests the corpus of the scheme in equity instruments of companies which have the essence of infrastructure in it. Such schemes depend on the market trends of the theme as the companies which are associated with a particular theme reflects similar performance in the market. Hence, thematic schemes can become aggressive at times. In the past, this fund has shown a significant return for long-term investors. The scheme delivered 20.63% trailing returns in 5 years and 15.21% in 3 years. In the last year, it has faced several ups and downs and has shown a reason why it is considered risky due to the bear market. With the correction phase going on in the market, investors are doubtful whether or not to invest in pure equity funds. The experts believe that this is the time for you to make an additional purchase, as the units are available at lower NAVs. When the market improves, they will be able to earn high returns on these units. As you have already read what banking and infrastructure sector hold, hope you know whether to invest in these sectoral funds or not. In case there is anything that you need to discuss, feel free to consult our financial experts at MySIPonline. Also, you may get a regular fund related query answered by posting the same here.